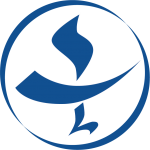 The Unitarian Universalist Society: East (UUS:E) Sanctuary Team has been publishing a series of inserts in UUS:E’s Sunday morning orders of service. Those inserts appear below. Visit the Why Offer Sanctuary? page for additional information. 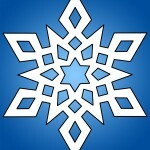 If the members of the Unitarian Universalist Society: East decide to offer sanctuary to an undocumented individual or family seeking to avoid deportation, we will be following the example of the Unitarian Universalist Association, which became the first national denomination to join the New Sanctuary movement in January of 2007. 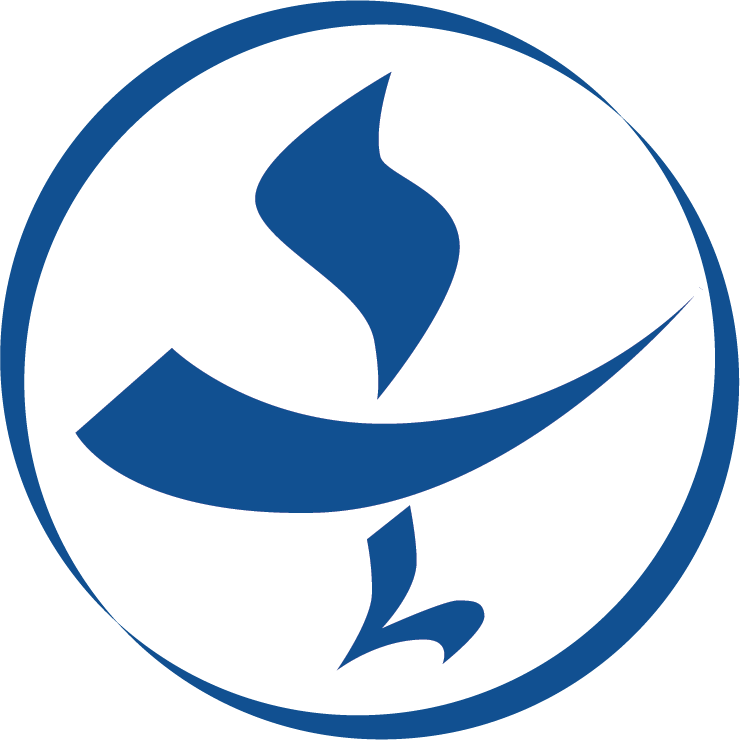 Unitarian and Universalists have a long history of fighting injustice: as conductors and hosts on the Underground Railroad; in Europe during World War II, saving Jews from the concentration camps; in freedom rides, at lunch counters, at sit-ins, and voter registration drives across the South during the Civil Rights Movement; as rally participants, advocates and lobbyists in the fight for marriage equality; at Standing Rock in 2016 and 2017 to protest the Dakota Access Pipeline. Today, the need for sanctuary is urgent. We are called to put our principles into practice. UUS:E is forming a ‘Sanctuary Congregation Team’ to create a plan we can implement in the event it is needed. The team will also offer education to the congregation on what it means to provide sanctuary. For example, sanctuary is not an open-ended housing arrangement. It is a last resort for someone who has an open deportation order. If we offer sanctuary to an individual or family, we can (and truly must) confirm that they have competent legal counsel and that we are providing housing only while they have active legal options in progress. If their legal options become exhausted, they would be forced to leave the country. They would not stay with us in perpetuity. We won’t be in this effort alone. There are a number of networks providing support and funding for immigrants facing deportation. Already, local immigrants’ rights leaders in Manchester have pledged their support for UUS:E if we choose to go this route. In January, 2016, the President issued an Executive Order “Enhancing Public Safety in the Interior of the United States.” This order broadly expanded immigration enforcement so that now all individuals are at risk of deportation, including families, long-time residents and “Dreamers” who were brought to this country as children. For decades, immigration enforcement focused on serious criminals and individuals who posed threats to our national security. Now every non-citizen is subject to removal, even those with absolutely no criminal record. In fact, Immigrations and Customs Enforcement (ICE) is targeting the people who are most compliant with the requirement to periodically check in, as well as those working with attorneys who have scheduled court hearings to present their case for staying in the country. Joel Colindrés of New Fairfield, CT was caught up in this new expanded enforcement. After years of receiving annual approvals to remain, on Thursday, July 20th, Colindrés was ordered to depart the country by August 17th. Joel, a 13-year resident of the U.S., is married to Samantha, a U.S. citizen, has two American-born citizen children and owns a home in New Fairfield. He is a hardworking, tax-paying, loving father and husband with no criminal record. Public safety will not be enhanced by his removal. Fortunately for Joel, the Second Federal District Court intervened and stopped his deportation. These broadly expanded enforcement actions have impacted and are continuing to impact other individuals in our area. Offering physical sanctuary to people seeking to resolve deportation orders is one very significant way houses of worship can help. At the UUS:E annual meeting on May 20th, the Policy Board will likely be asking the congregation to vote on this question. Shall UUS:E physically provide sanctuary for an immigrant who needs extra time to present their case in immigration court? Are there any consequences for a congregation that provides physical sanctuary to an undocumented immigrant under a deportation order? First, in the past thirty years, no member of a religious organization has been prosecuted under federal anti-harboring laws. 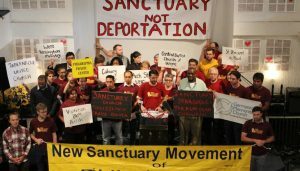 Second, while it is a crime to conceal an undocumented immigrant from immigration officials, it is highly unlikely that a congregation would be prosecuted if sanctuary is “open and notorious.” The Second Federal District Court (which covers Connecticut) has ruled that the law is only violated if sanctuary is hidden. If UUS:E ever provides sanctuary, we would need to notify Immigration and Customs Enforcement (ICE), identify the immigrant, hold a press conference, and publicly declare our intention to provide physical sanctuary. Third, by its own policies, ICE will not take enforcement action in “sensitive” locations including hospitals, schools, and houses of worship. The most recent experience of Nury Chavarria shows the effect an offer of sanctuary can have! This 43-year-old housekeeper and mother of four from Norwalk took sanctuary in a New Haven church and was granted an emergency stay of removal after only six days. However, sanctuary is not a guarantee against deportation and cannot be seen as a permanent solution. It is a stop-gap measure that allows an immigrant additional time to pursue legal strategies to remain in the United States. If those options fail, the immigrant cannot avoid deportation, and the period of sanctuary would end. This “exit strategy” must be agreed to before sanctuary begins. From a legal standpoint, providing sanctuary is a very safe action UUS:E can take to express its principles in the world. If we were to offer temporary physical sanctuary at UUS:E, where would our guest stay, and how would it impact our congregation? The most suitable space for sanctuary would likely be one of the Garden Level Religious Education rooms on the north side of the building (beneath Rev. Josh’s office). It would need a bed, a dresser, a television or computer, and perhaps some kind of exercise equipment. There is easy access to the bathrooms, showers, laundry and kitchen. Most of the furnishings would be donated by members of the congregation or supporters in the wider community. Using a classroom would require us to relocate one of the children’s Sunday morning classes to the chapel while a guest is living with us. It would be disruptive, but we believe we can manage it. One downside to using a classroom is that there isn’t much privacy on Sunday mornings. But if we were to use a Main Level room—i.e., one of the staff offices—there would be much less privacy during the week. How might members of the congregation be involved in the sanctuary experience? Depending on the particular circumstances of our guest(s), members can provide meals, provide foreign language reading material from the library, help the guest improve English language skills (if necessary), invite and accompany the guest to UUS:E events, visit the guest and learn their immigration story, play games with the guest, do exercise or yoga with the guest, or help them create a website about their experience in sanctuary. Members can also show support by calling their Member of Congress and both U.S. Senators to ask them to intervene with the Department of Homeland Security for a stay of removal. We can invite other elected leaders to visit our guest and express their support for our efforts.